Researchers have devised a clever technique to tell black leopards apart -- a trick that may end up saving their skins. 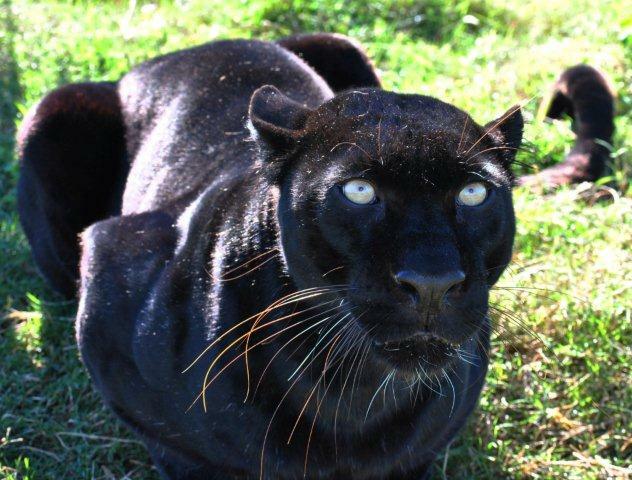 The researchers have been studying leopards on the Malay Peninsula -- where almost all of the big cats are jet black. Elsewhere across its range in Africa and Asia, the leopard is pale colored with distinctive black spots. Experts have no idea why the Malay leopards are black and, until recently, could not tell them apart, hindering research and conservation efforts. But the researchers have now devised a simple method to solve the problem by manipulating the mechanism of automatic cameras. Such cameras are increasingly being used to study animals in the wild. “Most automatic cameras have an infrared flash, but it’s only activated at night”, said Gopalasamy Reuben Clements, an ALERT member and coauthor from James Cook University in Australia. “However, by blocking the camera’s light sensor, we can fool the camera into thinking it’s night even during the day, so it always flashes,” said Clements. With the infrared flash firing, the seemingly black leopards suddenly showed complex patterns of spotting. These spots could be used to distinguish different animals, and help estimate the population size of the species. Automatic photos of black leopards without and with an infrared flash (images (c) Rimba). The researchers want to use their new method to study black leopards in other parts of Peninsular Malaysia -- where there is abundant prey but few leopards are seen. It’s thought widespread poaching is largely to blame. “Many dead leopards bearing injuries inflicted by wire snares have been discovered in Malaysia,” said ALERT director and coauthor Bill Laurance, also from James Cook University. Laurance said that leopard skins and body parts are increasingly showing up in wildlife-trading markets in places such as on the Myanmar-China border. At the same time, suitable leopard habitats are disappearing faster in Malaysia than perhaps anywhere else in the world, as forests are felled for timber and replaced with oil palm and rubber plantations. “Understanding how leopards are faring in an increasingly human-dominated world is vital,” said Laurie Hedges from the University of Nottingham-Malaysia, who was lead author of the study, published in the Journal of Wildlife Management. “This new approach gives us a novel tool to help save this unique and endangered animal,” said Hedges.